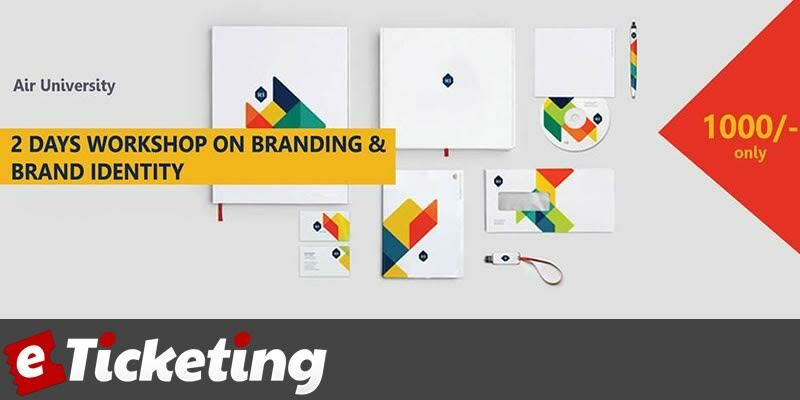 Stay tuned for upcoming events for Branding and Brand Identity Workshop in near future. Branding and Brand Identity Workshop will be held on 13 and 14 May 2017 at Air University in Islamabad. 2 Days Workshop on Branding and Brand Identity is being organized by Workshops at Air University. Duration of this workshop is two days and it will have 2 working hours. Interested persons are encourage to attend this hands-on-experience workshop. There are no particular requirements for this workshop. Anyone with any kind of skill level is motivated to join. - No Software is required. We will provide you latest software packages that you will need in the course. - Absolutely no experience is required. The course shows you exactly how to work with Photoshop and become an expert. Our methodology is very practical. We focus more on Productivity rather than Theory. Each concept we introduce is backed up by real-world examples​, and then followed by an interactive exercise​ to help you get your brand on the same track as the successful global companies and organisations. By the end of this course you will gain the following skills. - You will understand all Graphic Designing basics "Good For Beginners"
This course is designed for any person having interest in Branding and Graphic Designing. Best Viewed at 1024 x 768 pixels and above. This Page loaded in 0.09097 seconds on Tue, Apr 23, 2019 (21:35).